This project was completed while in residence at the Elsewhere Museum, a 3 story secondhand shop turned into an artist haven in Greensboro, North Carolina. The materials for this project were from the collapsed Fabric Fortress that previously inhabited the room. 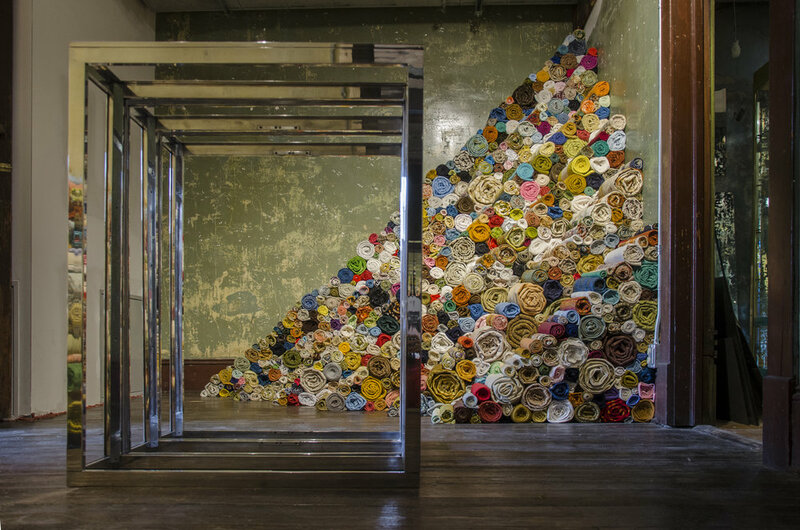 I wanted to return the materials in the room to an organized state of rest and create a space for contemplation.